The rear of the property, which can be accessed both internally or externally, is currently used as a substantial home office for the owner’s business. It provides a large open space suitable for a number of desks and is fitted with all the necessary equipment. This area was formerly a garage which could be re-instated or could provide a number of alternative uses such as gym, studio etc. A small step leads to the lower section where you will find the living room and formal dining room. Again open plan but the ‘L’ shaped arrangement creates a good degree of separation between each area. There are clever integrated cupboards with space for television and speakers and double doors which allow access on to the rear landscaped gardens and terracing. 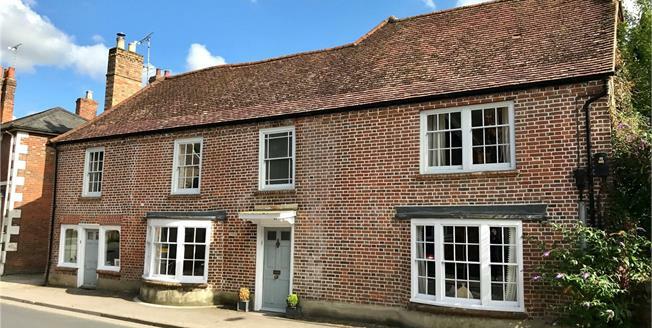 Quickly becoming one of the most popular areas in Wiltshire, Pewsey offers excellent local shopping facilities which include a supermarket, doctor’s surgery, dental practice, a sports centre with swimming pool, bank, chemist, public houses and churches of various denominations. Pewsey Railway Station just 0.5 miles away and provides mainline services to London Paddington (about 1 hour 10 minutes). The market towns of Marlborough, Hungerford and Devizes are each circa. 15 mins away by car whilst the larger centres of Salisbury, Andover, Newbury and Swindon are within easy travelling distance. The M4 motorway lies to the north with the A303 (M3) to the south. The stunning ancient landscape in the Vale of Pewsey is designated as An Area of Outstanding Natural Beauty and still contains many unspoilt traditional Wiltshire villages. The Kennet and Avon canal runs close by.